With the Windows 10 Creators Update expected to drop in the next few months, Microsoft is putting little unmentioned goodies into Insider Preview builds. We saw that recently with Dynamic Lock in Build 15002, and now Windows 10’s anticipated Game Mode has shown up in the more recent Build 15007, according to MSPowerUser. 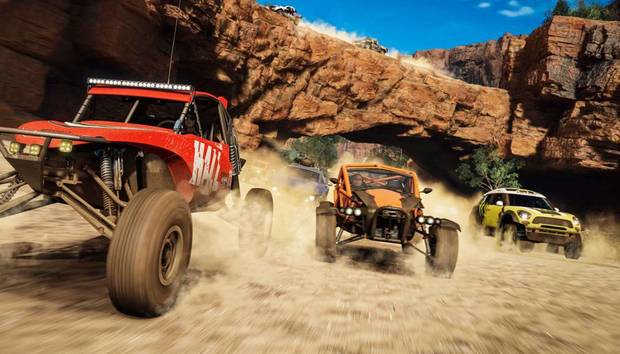 Windows 10's Game Mode makes your PC prioritize its resources to maximize game performance. PCs already do that already to a certain extent, but many gamers (including this one) have to shut down a number of programs running in the background to free up extra resources for the best results. The concept of a game mode is also nothing new as some programs, such as anti-virus suites, come with a game mode feature so they don’t tax a PC’s resources during critical moments in Battlefield I or Survival mode in The Division. And the recently launched Windows 10 preview build 15002 introduced "app throttling" to perform similar tricks with non-gaming applications. Right now, it’s not clear if Windows 10's Game Mode is actually doing anything in build 15007. It's also not clear if Game Mode only optimizes Windows Store games, or all games. But if you want to check it out, just call up the Game Bar with Windows key + G, and then click on the Settings icon to view the Game Mode option. Build 15007 also adds a game broadcasting icon to the Game Bar, a feature Microsoft promised would come with the Creators Update. Why this matters: Despite the fact that Windows is the premiere gaming platform for PCs, Microsoft has earned a reputation at times for not supporting gaming as strongly as it should. The company has been trying to make up for that with Windows 10. Game broadcasting is an obvious addition in our age of Twitch, Plays.TV, and YouTube gaming. However, Game Mode will be a big help especially for budget gamers whose systems can easily be taxed by superfluous programs running in the background.